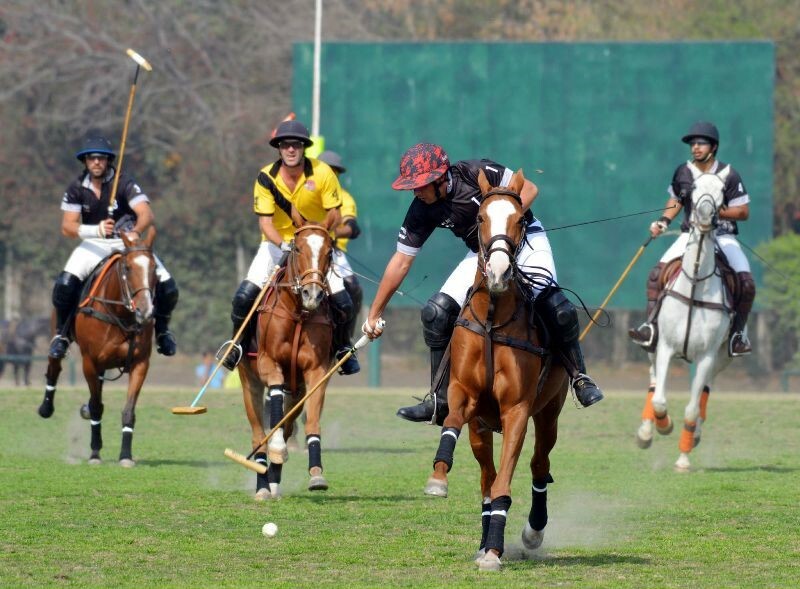 LPC LAHORE: The crucial matches played at the Lahore Polo Club (LPC) ground on Saturday, set the finals between Rizvi’s/Master Paints against Army Whites. The heroics of Hamza Mawaz Khan and Juan Cruz Losada helped Rizvi’s/Master Paints set main final clash against Army Whites after they outlasted Barry’s by 6-3½ in the Spring Polo Cup 2018 crucial match played at the Lahore Polo Club (LPC) ground on Saturday. Both Hamza and Losada were superb with sticks and ponies and outclassed their opponents in all the departments. Both the heroes pumped in three tremendous goals each to guide Rizvi’s/Master Paints to an impressive victory. From the losing side, which had one and half goal handicap advantage, Tito Ruiz Gunazo scored both the goals but his efforts were futile in the end. The match started with a beautiful goal by Hamza off a spot penalty which gave Rizvi’s 1-0 lead, but it was soon equalized by Tito Ruiz Gunazo, who fired a field goal to draw the blood at 1-1. In the dying moments of the first chukker, Losada banged in a field goal to give Rizvi’s 2-1 edge once again. The second chukker was fully dominated by Rizvi’s, who pumped in three back-to-back goals to take healthy 5-1 lead. Hamza this time contributed with two goals and Losada one. The only goal of the third chukker was converted by Nafees Barry, which reduced the margin to 5-2. The last goal of the chukker came from high-flying Losada, who fired another field goal to further enhance Rizvi’s lead to 6-2, which remained intact till the final hooter. With one and half goal handicap for Barry’s, Rizvi’s/Master Paints won the match by 6-3½. Eulogio Celestino and Major Omer Minhas supervised the match as field umpires while Miguel Luis Duggan was match referee. The second encounter of the day saw Newage/Guard Group overpowering Master Paints Black by 8½-5. Salvador Ulloa emerged as star of the day for Newage/Guard Group by firing fantastic four goals while Taimur Ali Malik hammered a hat-trick and Raja Arslan Najeeb contributed one. From the losing side, Mizzini scored a hat-trick and Saqib Khan Khakwani scored a brace. Newage/Guard Group scored the opening goal of the match thorough Salvador to have 1-0 lead which was doubled by Taimur Malik. Master Paints Black bounced back in the second chukker by striking two-back-back goals through Mizzini and Saqib to level the score at 2-2. In the dying moments of the chukker, Salvador added one more in Newage’s tally to take 3-2 lead. Salvador was more severe with mallot in the third chukker as he banged in a brilliant brace which further increased Newage’s lead to 5-2. Saqib then struck a field goal to reduce the margin to 5-3, which was once again stretched to 6-3 by Taimur Malik. 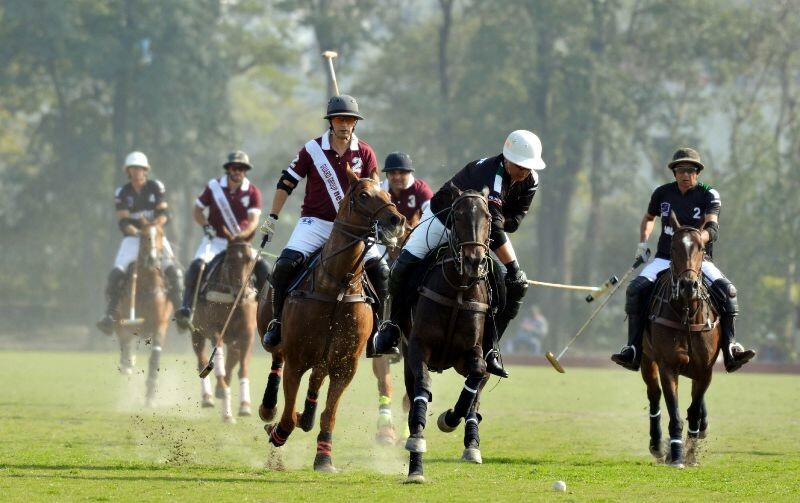 In the dying moments of the chukker, Mizzini fired a field goal to reduce the deficit to 6-4. Taimur completed his hat-trick in the fourth and last chukker when he hammered a field goal to improve his team’s lead to 7-4. Mizzini added one more goal in Master Paints’ tally to make it 7-5 but Raja Arslan struck one more for Newage to finish the match at 8-5. With half goal handicap, Newage/Guard Group won the match 8½-5. The main final of the tournament will be contested between Rizvi’s/Master Paints and Army Whites on Sunday at 3:15 pm, while the subsidiary final will be played between Army Red and Newage/Guard Group.